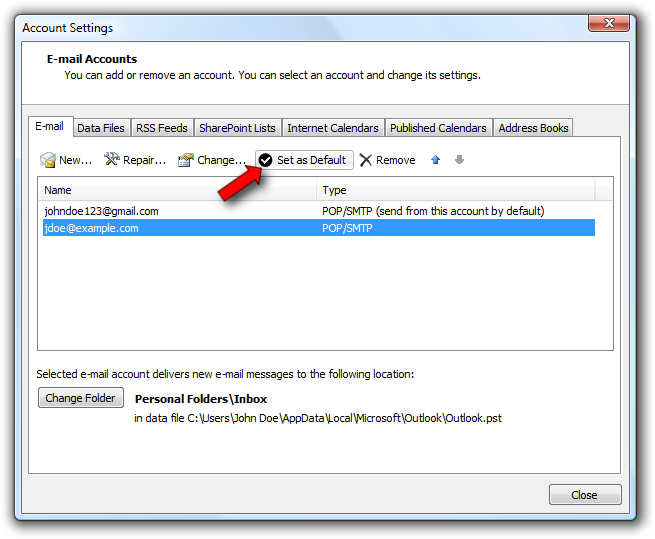 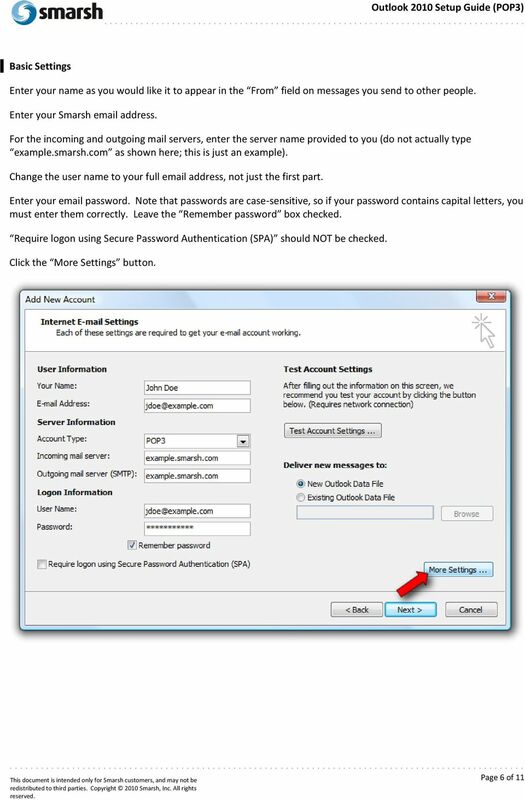 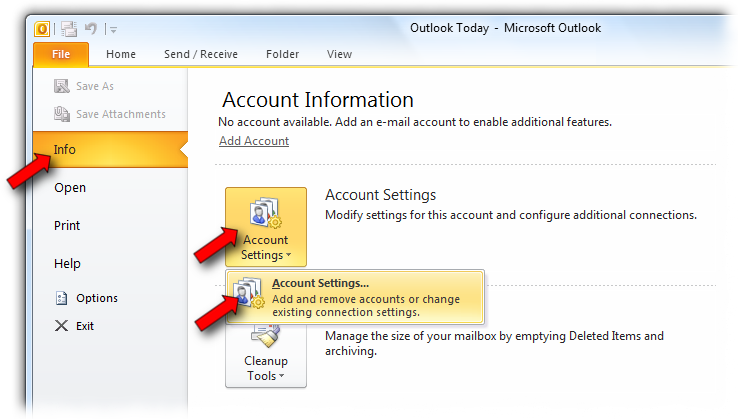 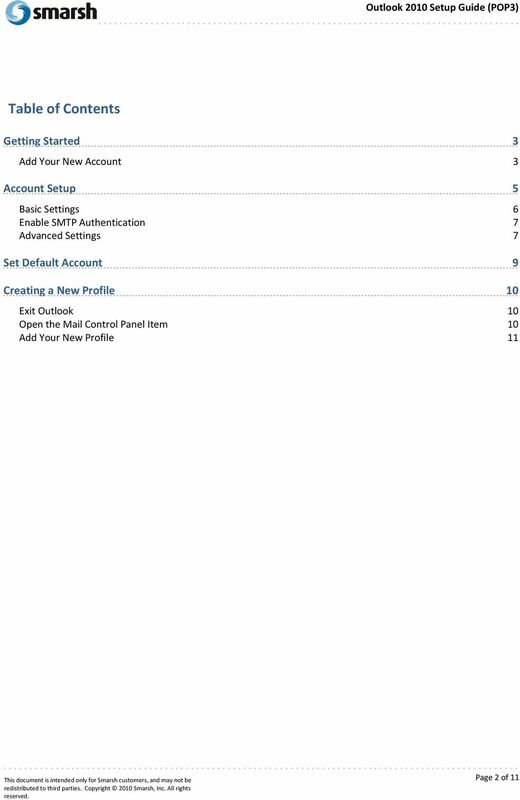 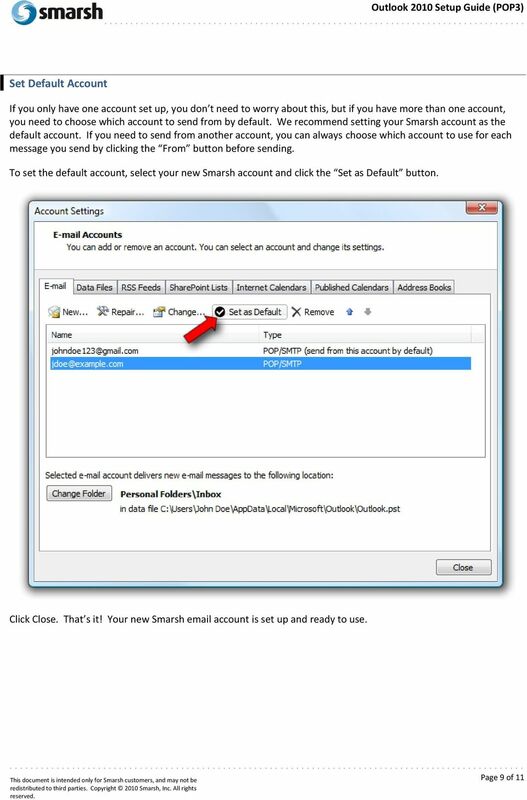 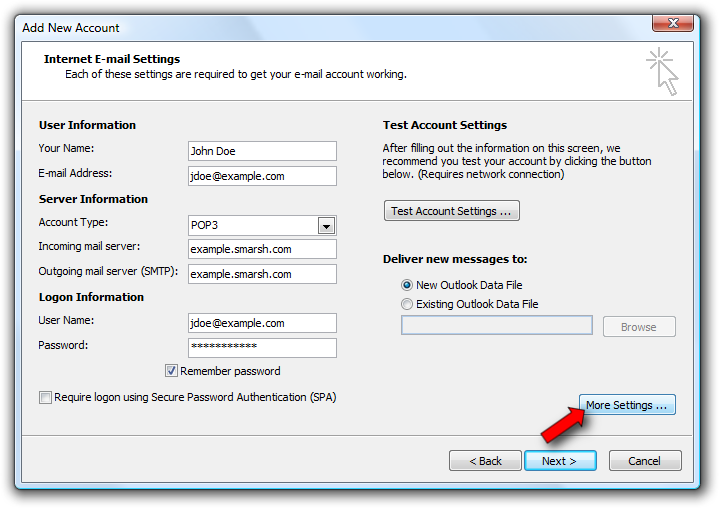 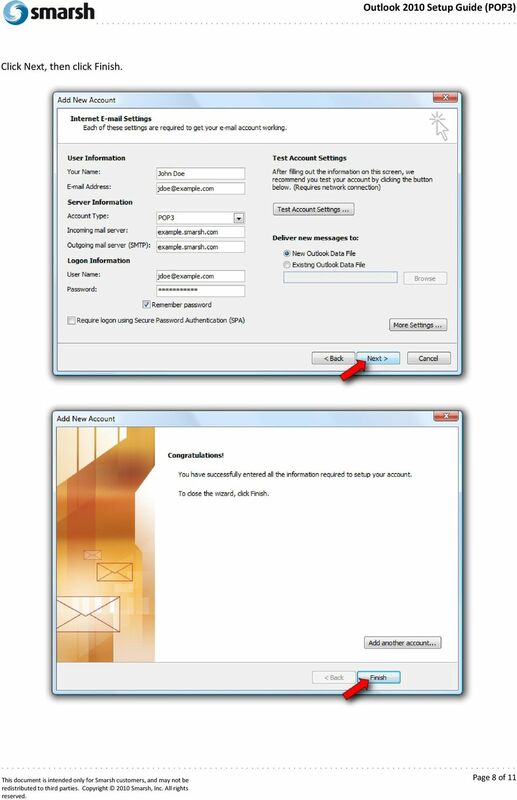 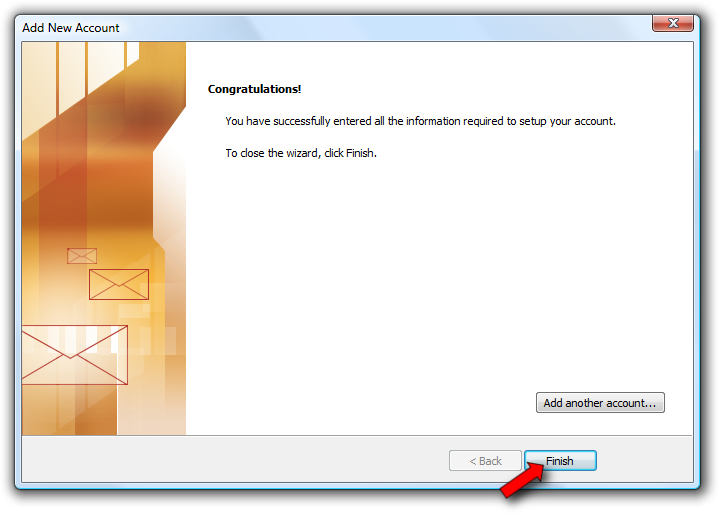 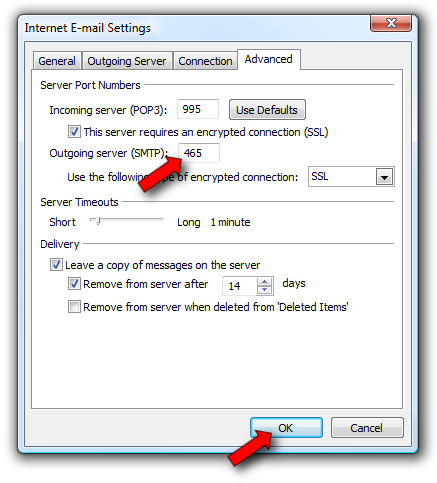 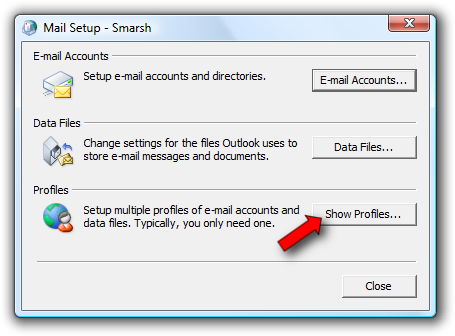 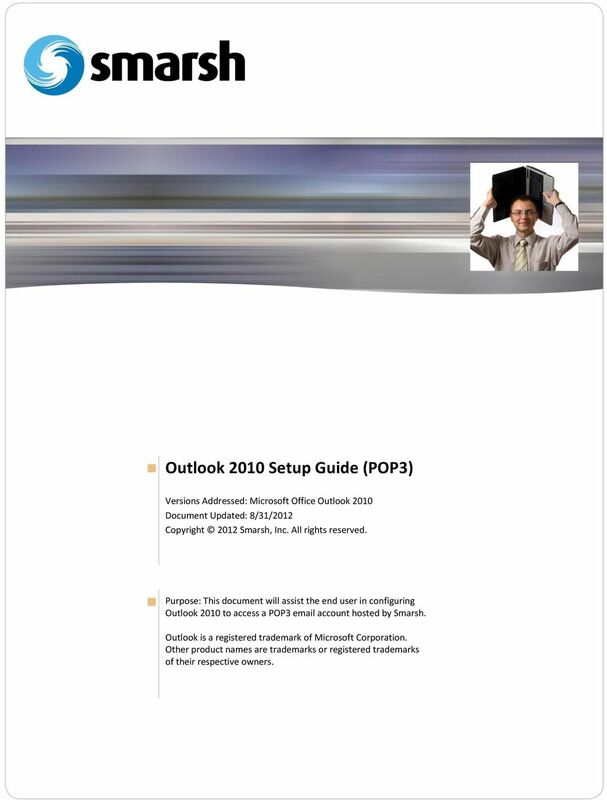 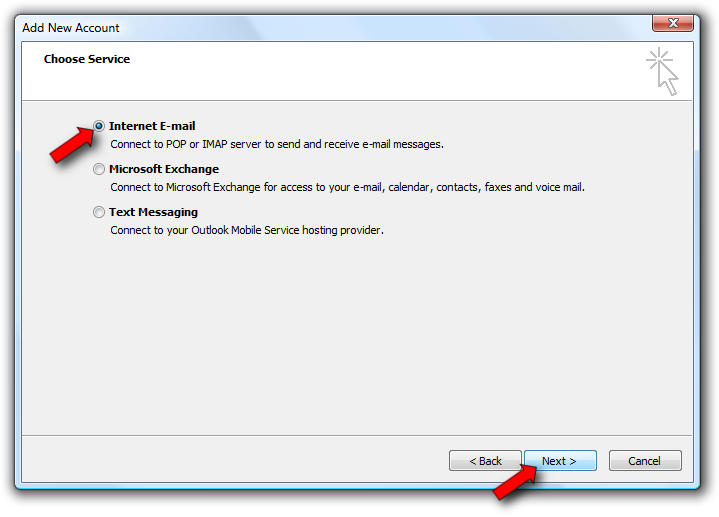 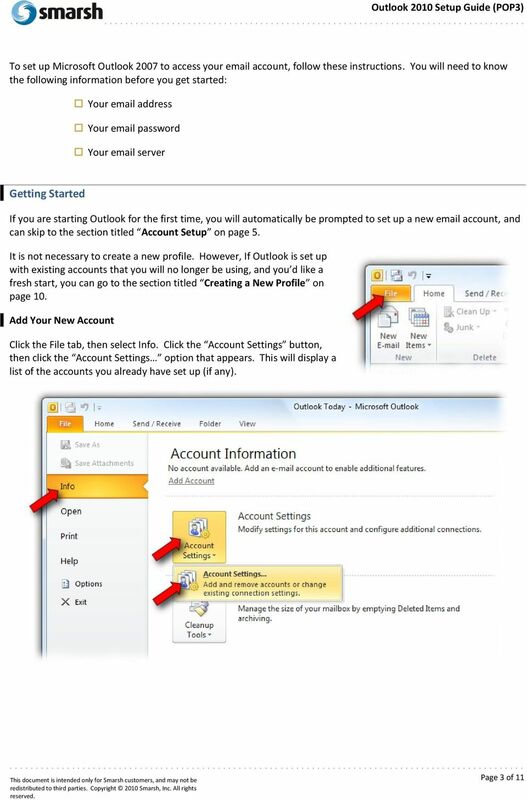 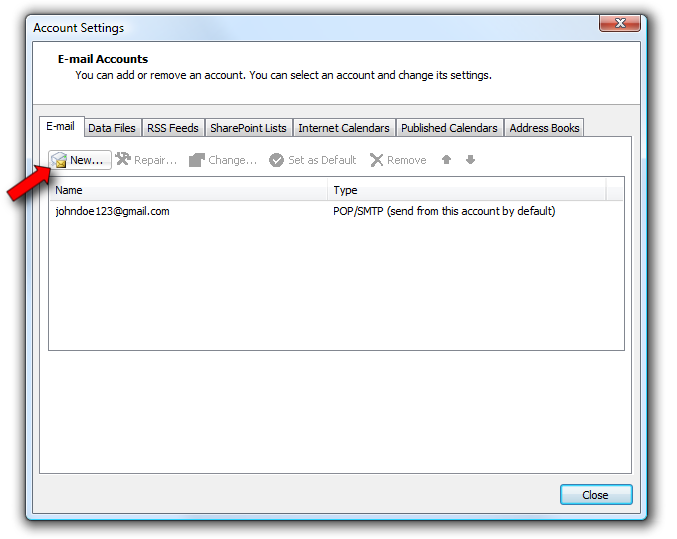 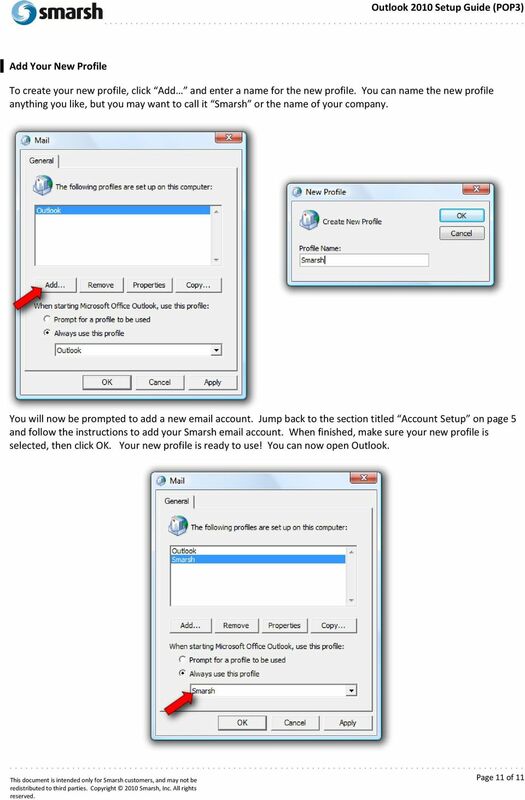 Download "Outlook 2010 Setup Guide (POP3)"
1 Versions Addressed: Microsoft Office Outlook 2010 Document Updated: 8/31/2012 Copyright 2012 Smarsh, Inc. All rights Purpose: This document will assist the end user in configuring Outlook 2010 to access a POP3 account hosted by Smarsh. 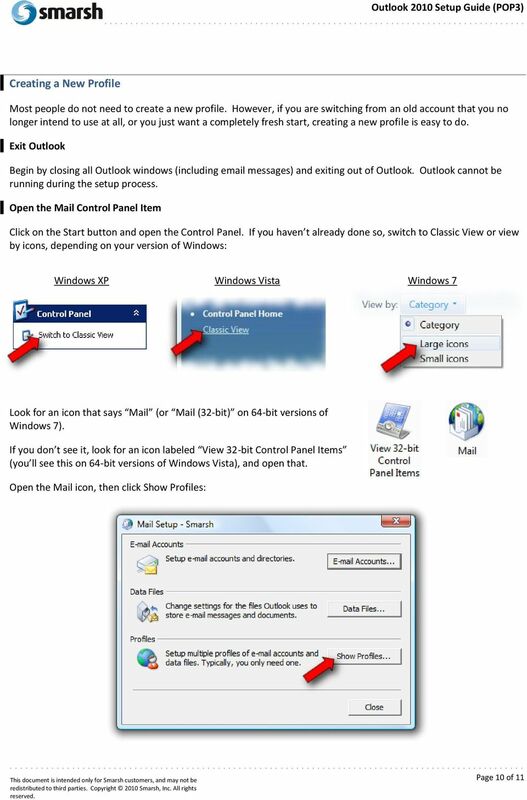 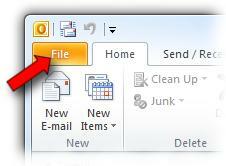 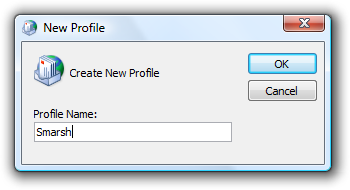 Outlook is a registered trademark of Microsoft Corporation. 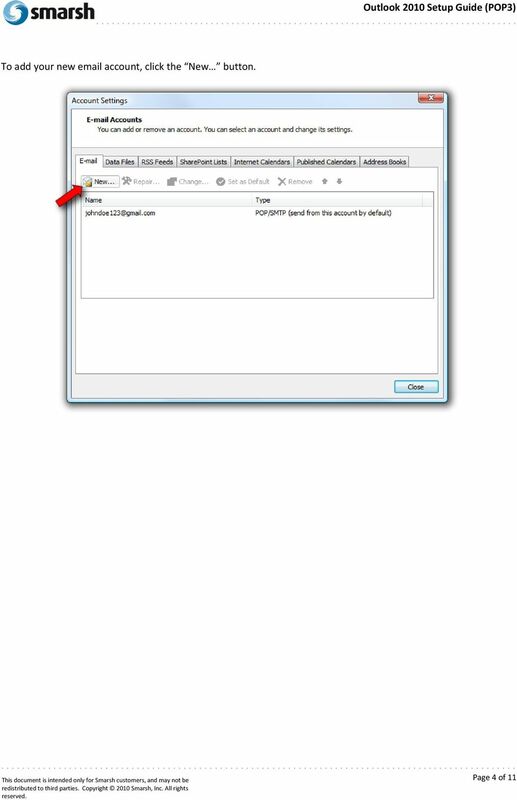 Other product names are trademarks or registered trademarks of their respective owners. 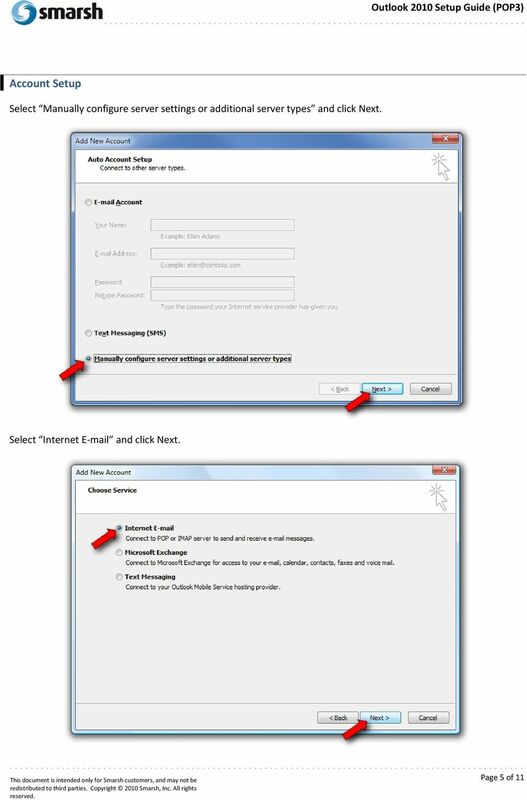 Use the below instructions to configure your wireless settings to connect to the secure wireless network using Microsoft Windows Vista/7.